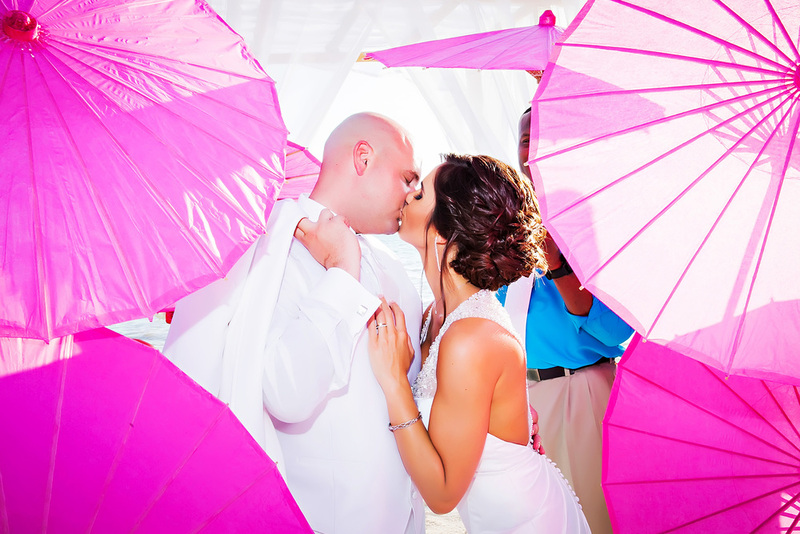 Not only is it a treat to be working at one of the most elegant wedding destinations in Key West, but when you have a fun and easy-going couple, weddings are just that much more fun! When we first spoke with Lea and Chad, they knew exactly what they wanted and entertainment was high on their list. We provided DJ service, a photo booth, and custom monogram we call "Name In Lights". The rest of the entertainment was provided by all of their awesome guests who knew how to have a good time. The photo booth was busy all night and the dance floor was getting a lot of use! You will also see their Name In Lights package in a few of the pictures where they chose to have us customize a monogram that we projected above the head table all night. This gave them a unique touch to all the pictures and it really came out nice. Limelight Photography knew exactly how to use natural light in this setting which makes that monogram pop! Jimmy was their DJ for the night and we had a great conversation about how much fun everyone had. Lea was gracious enough to leave him and the photo booth team and wonderful review which sums up how great of a time both her and Chad had!